Wastewater treatment and reuse is not new, and knowledge on this topic has evolved and advanced throughout the human history. Since prehistoric civilisations have been capable of reusing untreated municipal wastewater, especially for the land application, wastewater treatment became a common practice within all human settlements. The process has been optimizied due to a growing understanding of the issue and the development of treatment technologies. Since industrial advancement occurred, waste production from industries has deeply affected our society. 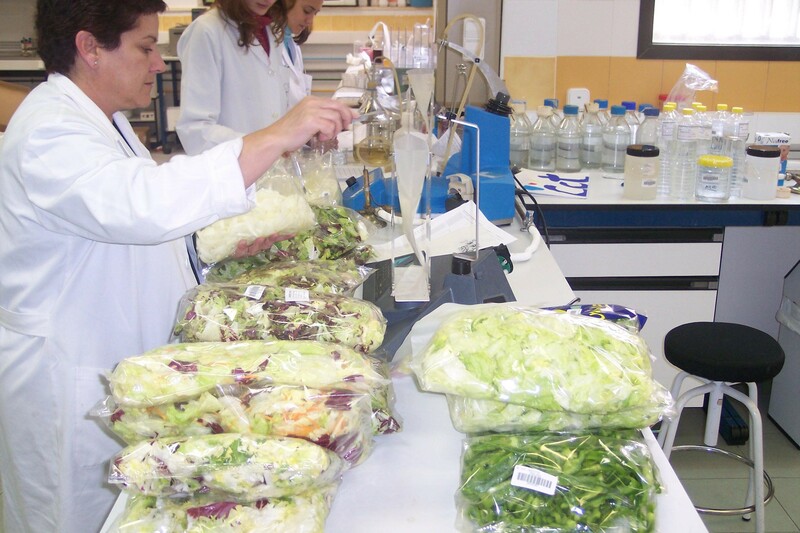 Microbiological analysis of food products (CTC, Spain). Amongst all industry sectors, food processing plant waste streams generate large amount of mostly biodegradable liquid and solid waste which require separation. 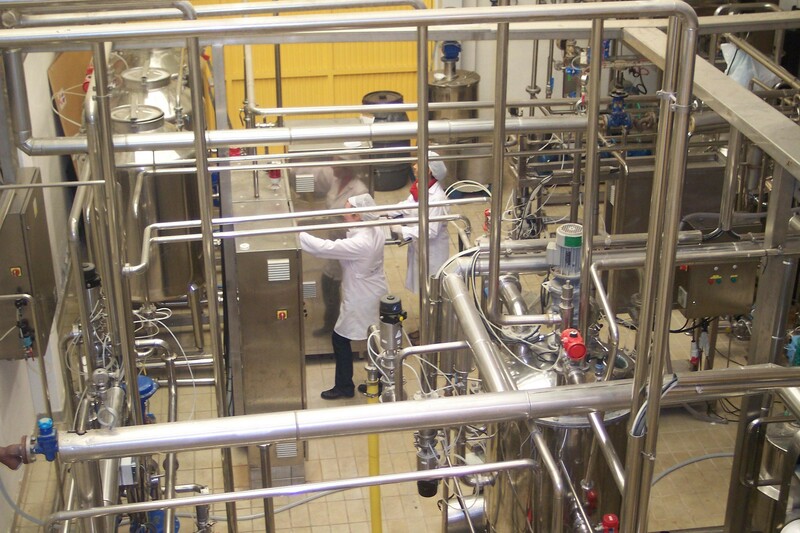 Large amount of water is used in food and beverage processing. It is ranked as the third largest water consuming industry in the European industrial manufacturing sector. These industries consume about 4.9 m3/inhabitant-year of water (Eurostat, average from 2003 to 2011) and generates a similar quantity of wastewater, which is about 3,700 million m3/year. These residuals are usually treated in-situ and/or discharged to the grid for their treatment in a municipal wastewater treatment plant. However, these streams have an important potential for the conversion of the present biodegradable compounds and the valorisation as bio-based products. By consequence, optimization of membrane filtration systems is a key feature of wastewater treatment. Membrane filtration allows selective filtration through pores of different sizes. There are four main membrane types: micro-filtration, ultra-filtration, nano-filtration and reverse osmosis. Micro- and ultra-filtration are typically deployed for particle removals whereas nano-filtration and reverse osmosis are used for softening and desalination practices. 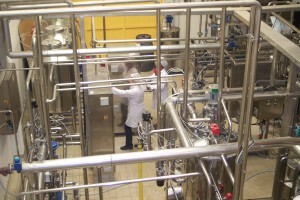 Processing pilot plant (CTC, Spain). To unlock such potential, fruit and vegetable processing, and sweets manufacturing industries are partnering in AFTERLIFE project. AFTERLIFE proposes a tangential (cross-flow) membrane filtration for wastewater pre-treatment to remove large size solids, coarse grains and fatty emulsions for both preventing membrane fouling and under-performing and recovering useful substrates for bio-energy generation. The pre-treated wastewater enters in the filtration unit where it is processed through consecutive cross-flows; micro- (MF), ultra- (UF), nano-filtration (NF)/reverse osmosis (RO). The process ultimately originates concentrates and ultrapure water. Recovered concentrates will be treated to obtain high-pure extracts and metabolites or, alternatively, converted into value-added biopolymers. AFTERLIFE project contributes to the Strategic Innovation and Research Agenda (SIRA) established by Bio based Industries Consortium (BIC) by means of the development of new bio-based value chains. Additionally, AFTERLIFE addresses the circular economy package by promoting the re-use and stimulating industrial symbiosis by turning one industry’s by-product, such as wastewater, into another industry’s raw material, such as plastic materials. Finally, the proposed project addresses the European Commission Landfill Directive by contributing to the objective of reducing the recyclable content in landfilled waste by means of the reduction in landfilling as end-of-life option for packaging material. The project will set the foundation of at least one new bio-based material and contribute to the overall objective of developing 30 new consumer products by 2020. It will create a new cross-sectorial interconnection in bio-based economy clusters through cooperation projects and attract participation from SMEs across Europe. Project consortium consists of 15 partners from 7 countries, coordinated by Idener (Spain). This 4-year project was officially launched on 1st September 2017 and is due to finish in 31st August 2021. This project runs under the umbrella of the Bio-based Industries Joint Undertaking (BBI-JU), which is a public-private partnership between the European Commission and the Bio-based Industries Consortium (BIC). For more information, visit AFTERLIFE project website. AFTERLIFE project received 3.8M€ funding from the European Union’s Horizon 2020 research and innovation program under the grant agreement No. 745737. This article is provided by Dr. Seena Koyadan (nova-Institut GmbH) and reflects only the author’s view. The BBI JU is not responsible for any use that may be made of the information it contains.